​With a history going back a possible 3,500 years, the oud remains until the present day the central instrument of Arab and oriental Jewish music. In the 9th century it was brought from Baghdad to Cordoba in Andalus (Muslim Spain) by a musician and polymath called Ziryab​ ​(789-857). From Cordoba the oud gradually spread into Christian Europe where it became known as the lute (from the Arabic al’ud). The lute in this form, without frets and played with a quill, was the instrument par excellence of the mediaeval troubadours, ballad singers and 'wandering minstrels'. Following the final expulsion of the Moors from Andalus in the late 15th/early 16th centuries, the oud fell out of favour in Spain but today is generally considered, with the lute, the ancestor of the guitar. In the early 1960s, Davey Graham (1940-2008) pioneered a fresh approach to British traditional folksong using the modal guitar tuning DADGAD. He’d evolved this tuning while travelling in the Near East and North Africa allowing him, he said, to be able to play with the oud players he met along the way. He believed there was a direct connection between oriental music and the folk music of Ireland and set out to demonstrate this in his arrangement of ‘She Moved Through The Fair’. Before Davey's death, Keith spent several afternoons jamming with him at his Camden flat. By this time Graham was playing oud in a North London Turkish group. 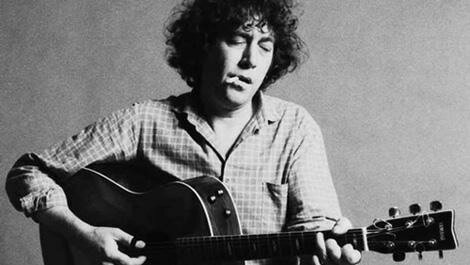 Another early 1960s folk guitar pioneer was Bert Jansch (1943-2011). 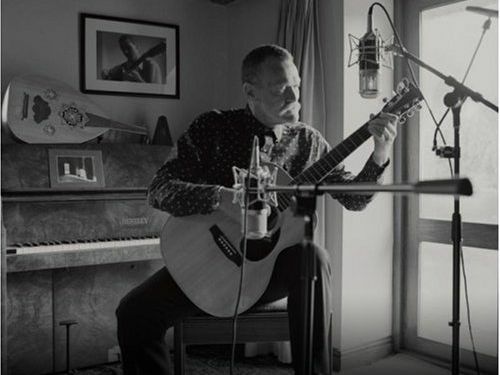 His arrangement of ​‘Blackwater Side’, another Irish traditional song, inspired the then-session guitarist and future Led Zeppelin founder, Jimmy Page, to record a remarkably similar piece using DADGAD tuning. Entitled ‘Black Mountain Side’, it was included on Led Zeppelin’s debut album. A few years later Page used the same tuning to compose the music for rock classic ‘Kashmir’, taking his inspiration, he said, from an oud player he’d heard on the radio in a Moroccan taxi.